Wonderful post! I like what you say about self compassion being psychological first aid. So true. 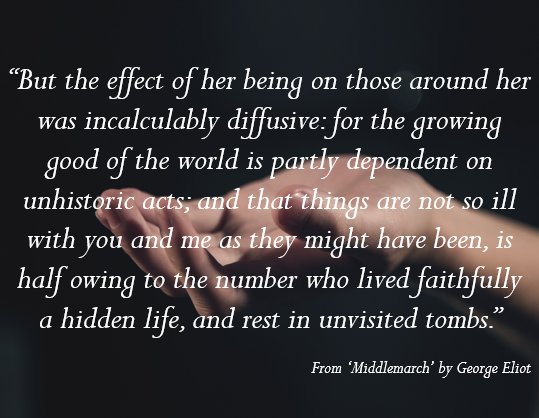 Middlemarch is a wonderful book and well worth taking the long time and consideration it takes. There are, indeed, many small things one can do (almost invisible) and you’ve prompted me to write about them myself. Thank you.